The Atom D2700 series CPUs have proved quite popular in the SMB / SOHO NAS market. We saw vendors introduce models with HDMI outputs as early as December 2011. In fact, we covered QNAP’s HDMI-equipped NAS models at CES 2012. 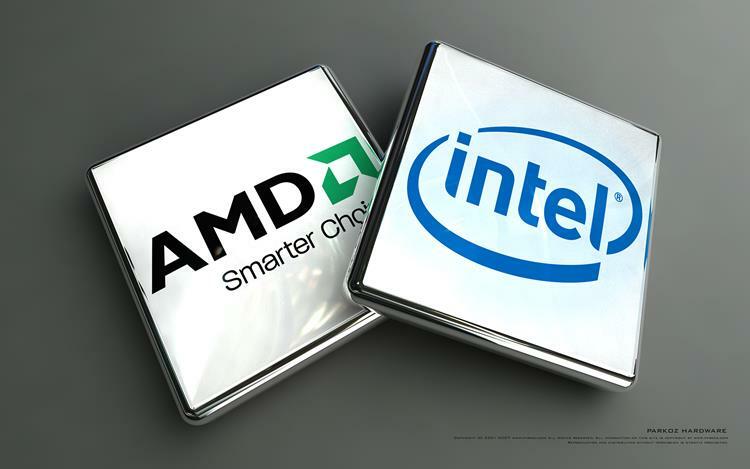 Intel’s GPU libraries for video playback and acceleration were not stable at that time and so, vendors were unable to show the true multimedia capabilities then. Since CES 2012, we have seen a number of vendors trying to pitch a media center running on the NAS as a value add. I have personally tested XBMC on the Thecus N4800 and came away distinctly unimpressed (a though SmallNetBuilder also seems to echo). At CES 2013, I saw an implementation of the Boxee UI on the Asustor 6-series. QNAP is the latest to join this trend with the TS-x69 Pro and L series, both of which are based on the Atom D2700 2.13 GHz CPU and come with HDMI ports. With the XBMC app, users to directly connect the NAS unit to a TV for media playback through HDMI. As most HTPC enthusiasts already know, XBMC also allows users to also manage their video library, music playlists and create photo slideshows. We will be evaluating one of the supported units in a couple of months, and hopefully, my experience will be better than what I had with the Thecus N4800. The TS-x69 Pro and L series come in 2, 4, 5, 6 and 8 bay models with prices ranging from $ 479 for the 2-bay models to $ 1,099 for the 8 bay models. The XBMC Media Center feature can be downloaded in the QNAP QPKG Center. Online storage service Bitcasa opened its doors this week, promising an end to external storage or pesky online capacity limits. The company’s pitch is simple: You give them $ 99 per year, they give you infinite storage space online. The deal is currently being offered for $ 69, which comes out to $ 5.75 a month. No capacity limits. No additional charge for certain file types or for web/smartphones. File version history? Infinite. Want backup and mirroring of existing data? You can get that, too. Bitcasa promises an online drive that seamlessly integrated with Windows Explorer, giving you all the benefits of local storage for substantially less money. That’s enough to pique our curiosity, so we took the new service for a spin. We’ve previously discussed file locker offers from Microsoft, Google, and Amazon, if you’re looking for information on how they stack up. Setup is easy. Download the application and you’re greeted by the splash screen below. Mirrored folders are always backed up and available offline? That would be sorcery. Near as I can tell, Bitcasa means that the files you choose to mirror are always available in their original locations. Choose whether you want to mirror or not, but I’d recommend going with “Not,” at least for the moment due to the impact on total upload bandwidth. If you do enable mirroring, Bitcasa offers you file-level control over whether or not documents are mirrored to the site or just copied over. You can mix and match between the two to free up local storage without needing to change the entire program’s configuration. That’s handy. Gaming on Android has been a hot topic lately. Purpose built consoles and handhelds have been rolling out along with plenty of excellent games. The WikiPad, announced in 10-inch form previously, takes a middle ground. 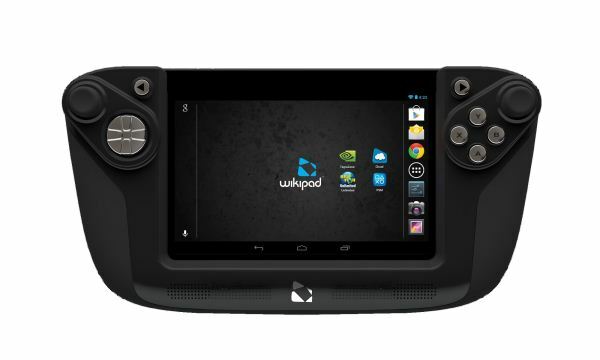 A 7-inch Tegra 3-powered tablet is paired with a handheld dock that features two analog sticks, directional pad, a quartet of front buttons, two shoulder buttons and two trigger buttons, along with a pair of speakers and a grippy, contoured design. The software side brings Jelly Bean along with NVIDIA’s Tegra Zone, MadFinger’s Dead Trigger and Shadowgun: Dead Zone and Distinctive Games’ Hockey Nations Tournament. The WikiPad is also PlayStation Mobile Certified, giving it access to the handful of Sony’s library of games that have been ported to the platform. The tablet’s specs bear a striking resemblance to Google’s 7″ tablet, and priced at $ 249 for the 16GB model it competes directly with the 32GB Nexus 7 or a 16GB Nexus 7 and a decent Bluetooth gamepad. No firm date for release was announced, and the 10-inch model is still in the works. That larger product had some manufacturing issues that presented a lengthy delay, and with the market moving smaller and cheaper the opportunity to bring out a smaller was too good to pass up. We’ll see how thing work out come this Spring. The Chromebook Pixel with 2560×1700 touchscreen: Is the world ready for an expensive, browser-based laptop? Early this week, a video of the Chromebook Pixel leaked onto the internet. This video (embedded below), which was leaked by an ad agency that seemingly works with Google, shows a Chromebook with an aluminium chassis and a 2560×1700 touchscreen display. The exact dimensions of the Pixel (and thus its screen) aren’t known, but it looks very similar to the 13-inch MacBook Pro. According to Francis Beaufort, who is well-connected when it comes to all things Chrome, the Pixel is currently being tested at Google. We don’t know how much the device will cost, but with an aluminium chassis, backlit keyboard, and high-resolution touchscreen, this won’t be a $ 300 Chromebook. Timing-wise, we wouldn’t be surprised if Google launches the Pixel at Google I/O on May 13. Given Google’s historical generosity — it gave attendees a smartphone, tablet, and a Chromebook last year — it would make sense if the Pixel is given away to I/O attendees. The big question, though — despite Beaufort’s report — is whether the video is actually real. There are all sorts of telltale signs that indicate fraudulence: The laptop looks like a render, the Chromebook Pixel font is wrong, and the voice-over feels distinctly ungooglesque. Rather than being a fake, though, what if it’s just a concept video? For almost as long as Chrome OS has existed, touch- and tablet-oriented features have existed in the codebase. Many years ago, in fact, the first Chrome OS device render was actually a tablet (pictured right). As we now know, of course, Android ended up being Google’s tablet OS and Chrome OS found its way to laptops (Chromebooks) and the desktop Chromebox. Even so, Google hasn’t stopped adding touch-oriented features to Chrome OS — in recent months it has added bezel gestures, touch-and-hold-to-drag, and more. In short, it isn’t all that surprising that Google is finally releasing a touchscreen Chromebook. Perhaps a better question to ask, though, is whether anyone actually wants a premium Chromebook. If we assume that the Chromebook Pixel has a decent CPU — an Intel Core i5, probably — then it will probably cost upwards of $ 600. If Google decides to actually make a profit on the Pixel, then $ 800+ is a more likely figure. There’s always a chance that the Pixel could be powered by a next-gen ARM chip — the Tegra 4 has plenty of pixel-pushing power for that 2560×1700 display — which would drive the cost down. The news that Google’s Native Client is being ported to ARM definitely adds credence to this possibility. Ultimately, though, we are talking about spending $ 500+ on a device that only runs Chrome and is of limited use when disconnected from the web. There is definitely some uncertainty surrounding Windows 8 when it comes to laptops, which Google could capitalize on, but it’s a stretch. If the Pixel comes bundled with some kind of unlimited 4G data plan, screaming performance, and has absolutely amazing battery life, then Google might just be onto something. Dopo un periodo di “calma”, Microsoft torna ad attaccare platealmente Google. Al centro della campagna avviata dal colosso di Redmond vi è il comportamento tenuto da Google ogniqualvolta un utente accede a Gmail utilizzando il browser web ed, in particolare, la visualizzazione di messaggi pubblicitari basati sul contenuto delle e-mail inviate e ricevute. “Pensate che Google rispetti la vostra privacy? Ripensateci“, è il pesante affondo di Microsoft che prende di mira la società rivale nell’intento di far migrare gli utenti agli account di posta forniti attraverso il sito Outlook.com. Microsoft accusa di pratiche commerciali aggressive e troppo invadenti: non appena si accede all’account Gmail via web e si verificano i messaggi presenti tra la posta in arrivo, la società di Page e Brin mostra informazioni pubblicitarie generate sulla base del contenuto delle singole e-mail. Google va automaticamente alla ricerca delle parole chiave più interessanti e ricorrenti contenute nella posta dell’utente ed espone messaggi basati sulle sue specifiche preferenze ed i suoi interessi. Se state organizzando un viaggio a Parigi vi appariranno messaggi pubblicitari correlati; se avete un contenzioso aperto vi saranno proposti studi legali, periti, servizi di recupero crediti; se siete amanti del giardinaggio noterete la comparsa di pubblicità strettamente correlata; se siete appassionati di informatica e dispositivi mobili appariranno, via a via, passando da una pagina all’altra di Gmail, decine di offerte commerciali differenti. “Outlook.com è differente; non analizzeremo il contenuto dei vostri messaggi per esporre pubblicità“, garantisce Microsoft che ha provocatoriamente allestito un sito web – Scroogled – per mettere alla berlina Google Gmail. Ad onor del vero, però, oltre alle normali attività di scansione del contenuto dei messaggi di posta alla ricerca di spam e phishing, anche Microsoft mostra messaggi pubblicitari quando si accede con il browser ad Outlook.com. Tali inserzioni possono essere generate sulla base dell’oggetto delle e-mail presenti nella casella dell’utente. Per decidere quali banner pubblicitari visualizzare, Microsoft sfrutta anche le informazioni rese dall’utente di Outlook.com in fase d’iscrizione (età, sesso, luogo di residenza) oltre ai dati raccolti durante l’effettuazione di ricerche online. Versando una somma pari a 20 dollari, Microsoft assicura l’eliminazione di tutti i riferimenti pubblicitari da Outlook.com. Aggiornamento: Google, attraverso un suo portavoce, ci ha fatto pervenire un commento sulle accuse lanciate da Microsoft. “La pubblicità consente di mantenere gratuito il motore di ricerca e molti dei servizi e dei siti che Google offre; siamo seriamente impegnati affinché gli annunci pubblicitari siano sicuri, non invadenti e pertinenti“. Il punto di vista del colosso di Mountain View è chiaro: non vi sarebbe alcun problema per la privacy degli utenti di Gmail poiché “non c’è nessun essere umano che legge le e-mail né tanto meno accede alle informazioni degli account Google per inserire gli annunci pubblicitari; la scelta di quale annuncio pubblicitario mostrare viene effettuata automaticamente da un algoritmo, del tutto simile a quello usato per il filtro antispam“.